Level1 / Day1 offers the essential knowledge and skills that must be mastered in order to carry use a firearm safely and effectively for personal protection outside the home. Students spend several hours on the range incorporating those skills into practical drills. Level2 / Day2 is an additional time on the range learning more advanced shooting techniques. Time and ammunition requirements are minimum, and may be exceeded. 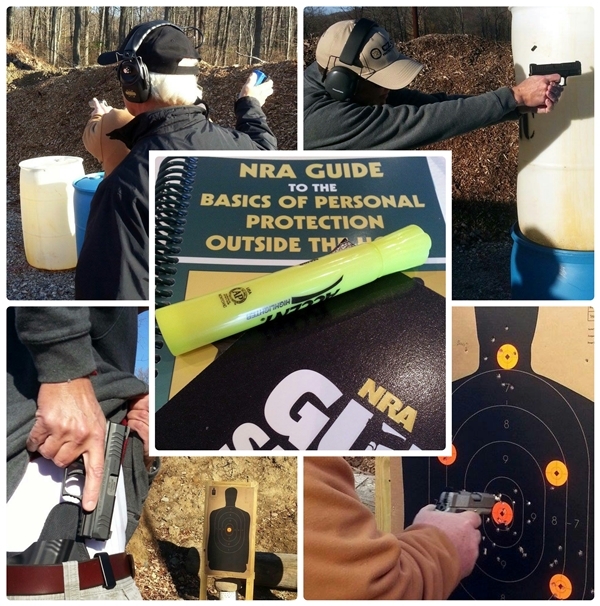 NRA Personal Protection Outside The Home course is for adult individuals who may legally possess a firearm as defined by applicable federal, state, or local law and are of good repute and possess defensive pistol skills presented in the NRA Personal Protection In The Home Course. Participants must also understand the basic legal concepts relating to the use of firearms in self-defense, and must know and observe not only general gun safety rules, but also those safety principles that are specific to defensive situations.